Rajinikanth Film Review From Katha Sangama. Katha Sangama Movie. Rajini Film Katha Sangama. 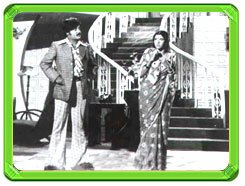 Rajinikanth Katha Sangama movie. www.rajinikanth.com. Portmanteau film based on three short stories. Hangu is about a poor university professor presented with a bribe just when his son is ill and requires expensive medical treatment. The second episode, Athithi, tells of an old spinster who once refused to marry the man who loved her and now sees him marrying her student. The third, Munithayi, has a wealthy man marrying a blind girl (Arathi) out of pity, but in his absence she is raped by an adolescent youth and later blackmailed. The husband eventually 'forgives' her for having been raped.